More and more people are discovering the benefits of tea these days so why not have a favorite set to enjoy it? This set includes one 22 oz. 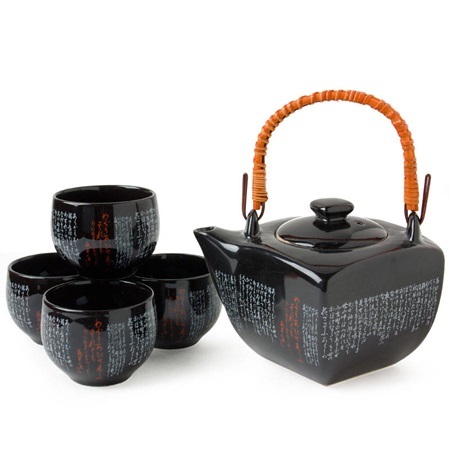 pot and four coordinating cups in a black gift box. Handle must be attached. Tea cup: 3.25" diameter. x 2.25"h; 4.5 oz. capacity.